Look stunning without exerting much effort by opting for a tan geometric poncho and a black bodycon dress. 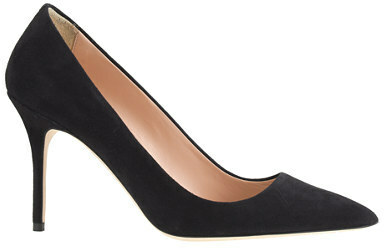 Here's how to dress it up: J.Crew black suede pumps. A dark purple cardigan and a black midi dress are absolute essentials if you're planning a chic wardrobe that matches up to the highest fashion standards. The whole outfit comes together when you add black suede pumps to the equation. You'll be surprised at how easy it is to get dressed like this. Just a white sleeveless blazer worn with black and white shorts. To introduce a little fanciness to your outfit, add J.Crew Elsie Suede Pumps from J.Crew to your ensemble. If you like comfort dressing, try pairing a pink and black vertical striped short sleeve blouse with a black print pencil skirt. Follow a more classic route on the shoe front by sporting a pair of J.Crew Elsie Suede Pumps from J.Crew. Demonstrate your outfit coordination expertise by pairing a black fur coat and black leather skinny pants. J.Crew Elsie Suede Pumps from J.Crew are a savvy pick to finish your look. Why not rock a white crew-neck t-shirt with light blue skinny jeans? As well as super comfy, these two items look great worn together. A pair of J.Crew Elsie Suede Pumps effortlesslly boosts the wow factor of any ensemble. Try pairing a black tunic with black tapered pants for an elegant yet casual ensemble. When in doubt about the footwear, complete your outfit with a pair of black suede pumps. 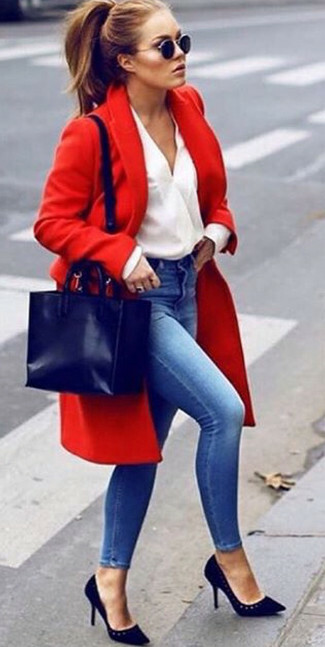 A red coat and blue skinny jeans are great essentials that will integrate brilliantly within your current routine. 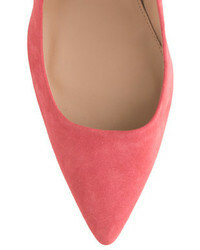 If you're puzzled as to how to finish, add J.Crew Elsie Suede Pumps from J.Crew to your look. Putting together a grey dress shirt and grey dress pants is a guaranteed way to inject your current repertoire with some class. 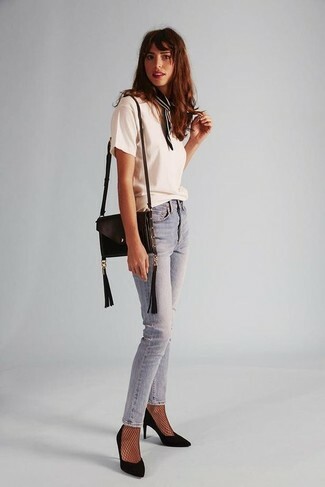 If in doubt about the footwear, complete this getup with J.Crew Elsie Suede Pumps from J.Crew.